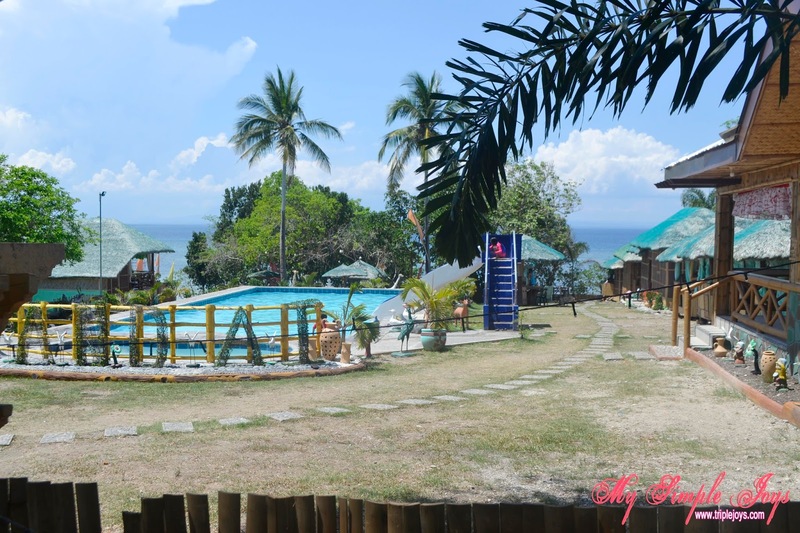 Yu & I Beach Resort in San Juan, Batangas (2nd of our Summer Outing 2016 Series) - Triple Joys!!! Now let's go to my husband's side of the family. 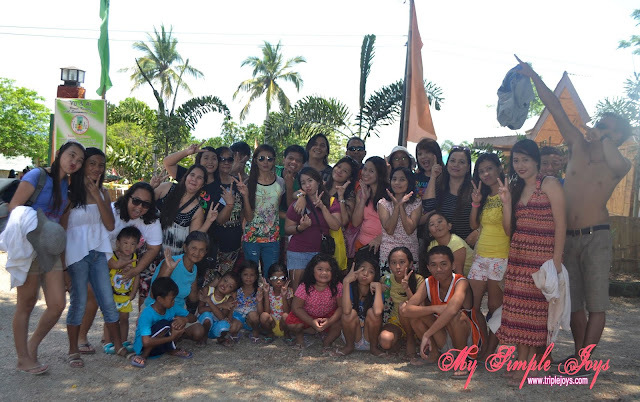 La Familia, as how we fondly call this side of our family, went to Yu & I Beach Resort in Brgy. Imelda, San Juan, Batangas City for our yearly summer outing. It has been our yearly tradition, sort of a reunion too, to go on a swimming vacation. But what make this year's outing extra special is the fact that we have decided to out of our comfort zone, we went to Batangas! 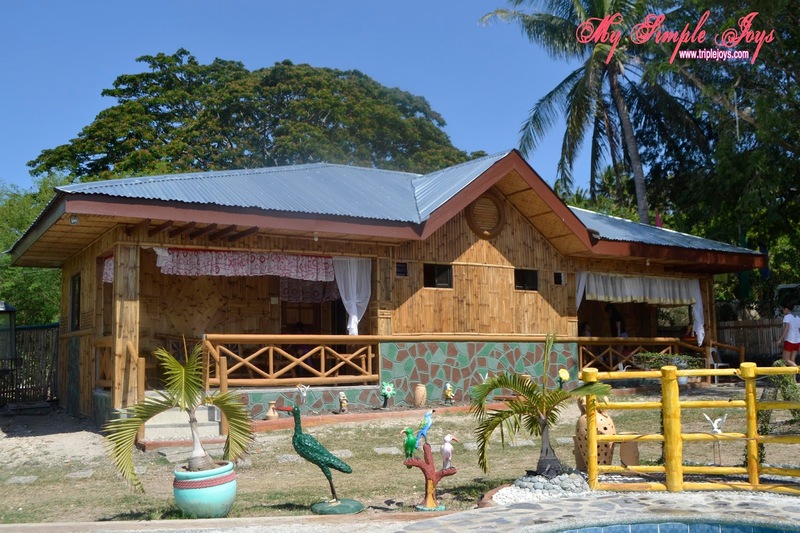 Usually, we only prefer to go to Laguna as it is much nearer to the metro, more convenient for us as La Familia is a very large family and it is really not that easy to transport 40 to 50 persons! Yes, that is how big La Familia is. It took us more than a month to finally decide on the resort that would fit not only our preferences, but most importantly, our budget! Hahaha! Selection and preparations were never really easy as there were so many things than needed to be considered. But thank God, we finally agreed to stay in Yu and I Beach Resort. There are many available room choices at the resort depending on your kind of stay, the number of persons, and your preferences. There are kubos, nipa huts, cabanas, tents and gazebos. 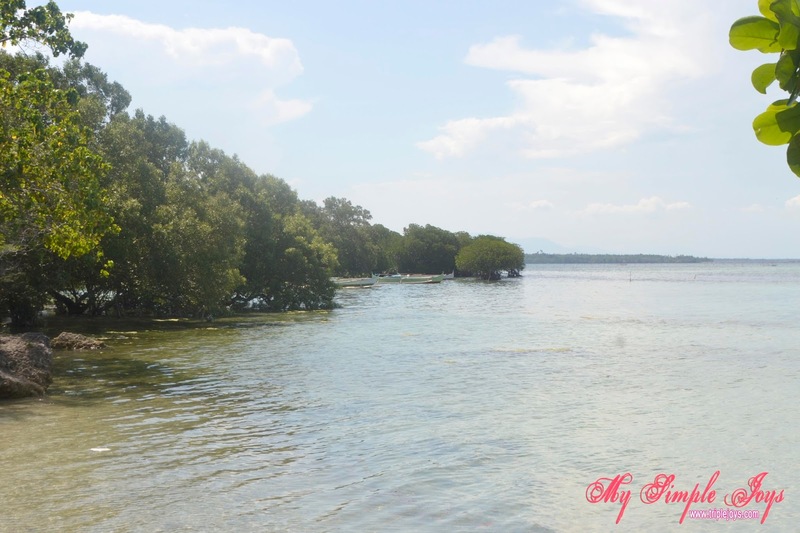 We rented two adjacent Nipa Huts (A&B). 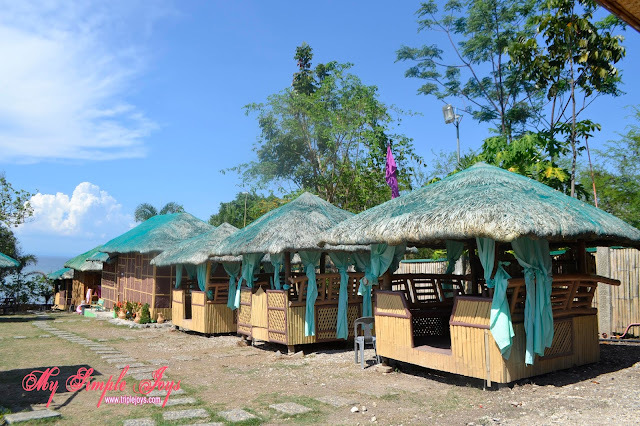 Each Nipa Hut costs P5,000.00 for an eighteen hours of stay. Each room has complete amenities. It has a comfort room, a kitchen, a television with cable, a veranda, one large bed and one double deck. It has air condition too. Aside from the two Nipa Huts, we also rented out a big gazebo. This was where we ate, sing drink together! :) The gazebo costs P2, 500.00 and would fit more than 30 persons. 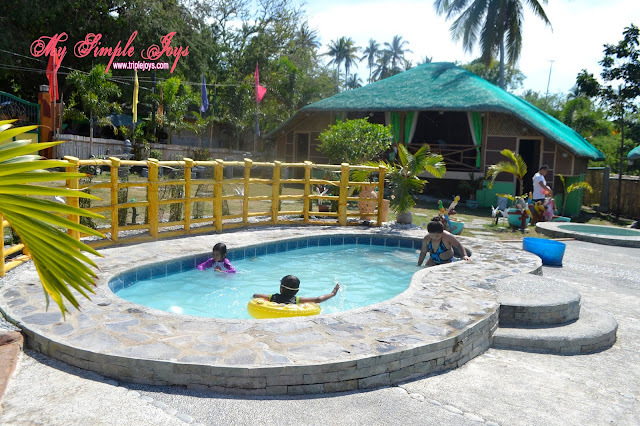 For smaller groups and for those who would not be staying for the night, there are kubos and umbrellas available too ranging from P400.00 to 700.00. 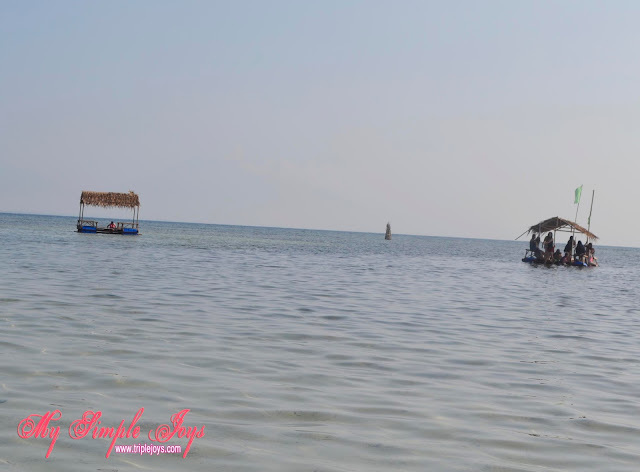 The beaches in San Juan, Batangas offer white sands unlike in the other parts of Batangas which has black sands. What I don't like about the beach of Yu & I are the fact that they do not have much beach front and the fact that there are so many lumot near the beach front. I really hope that the resort's owner will do something about this. But hey, lumot or without lumot, I am going to enjoy the white sands of San Juan, Batangas! 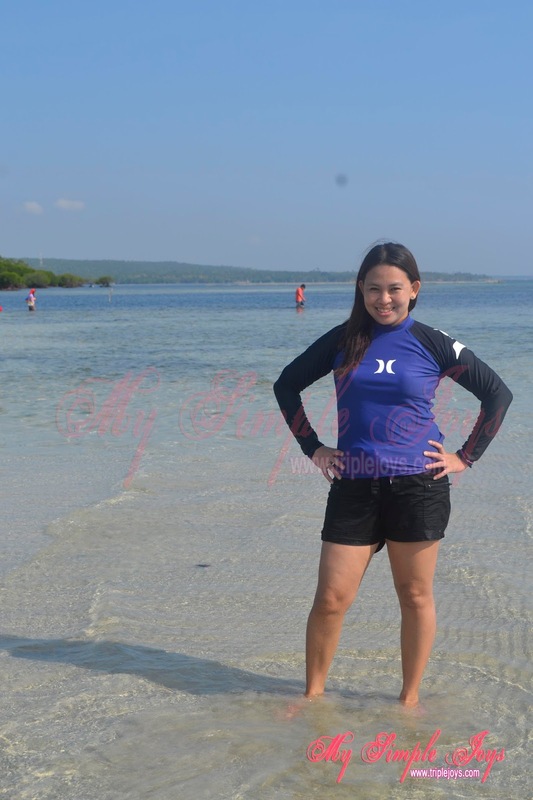 And of course, our swimming escapade won't be complete without the traditional jump shot! And since the beach is, most of the time, experiencing low tide, the owners provided its guests with two balsa (floating cottages) so that they will have a place to stay and to rest after walking a long distance just to the clear water. Aside from swimming and dipping, another thing that you can enjoy at the beach are the underwater creatures that you can find in the beach. There are fishes and star fishes of different colors. 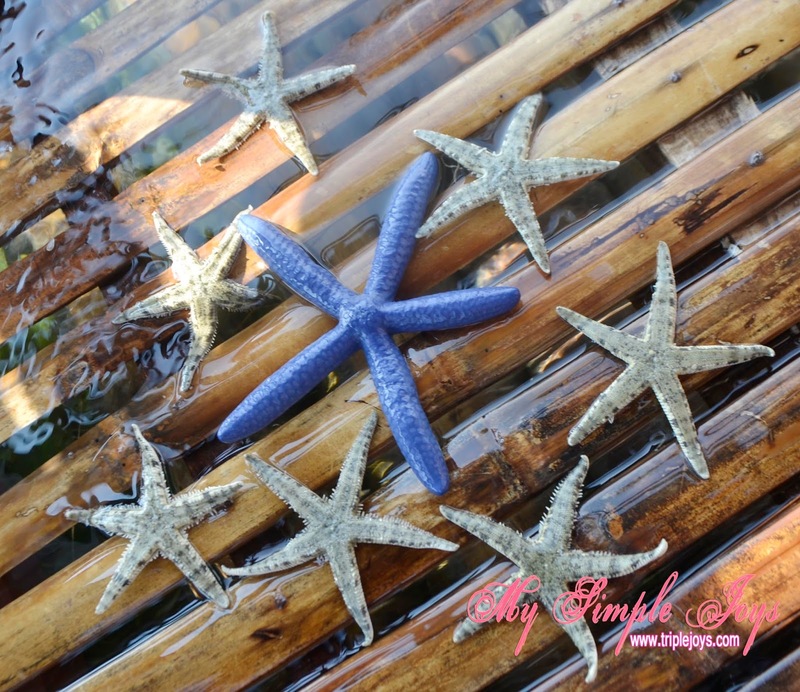 It was in fact my first time to see a blue star fish! 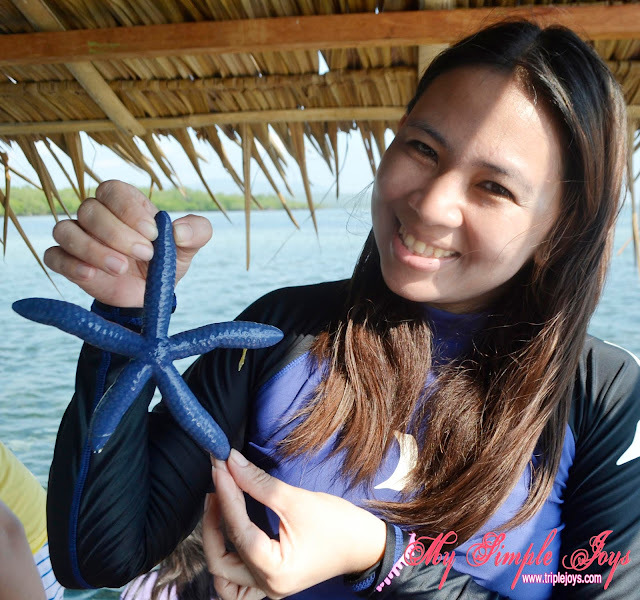 Matchy-matchy with the blue star fish! But of course, after having our sets of selfies, we already returned the star fishes in the ocean. Thank you mother nature for such beautiful creations! Just in case you were not able to bring with you some foods or maybe, you just have run out of something, no need to worry as the resort also has a small canteen and convenient store which offers our basic necessities. The resort also provides its guests complimentary breakfast for two per unit. Beating the summer heat with Halo-halo! During night time, it is no longer advisable to go to the beach as there are no available lighting there. But the pools are open until 10:00 o'clock to 12 o'clock. Initially, we were advised that the pool will only be open until 10 o'clock but we were actually able to use it until 12 o'clock. And of course, my husband and I cannot let this chance pass without having our photo op. Parang pre-nup lang ang peg! hahahaha! 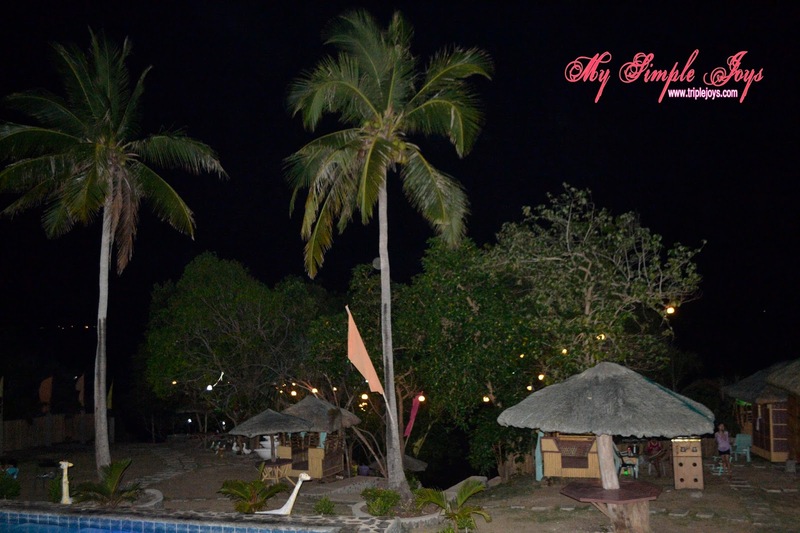 So, if you are planning to have an outing but you do not have that much budget, you can have this resort as one of your options. 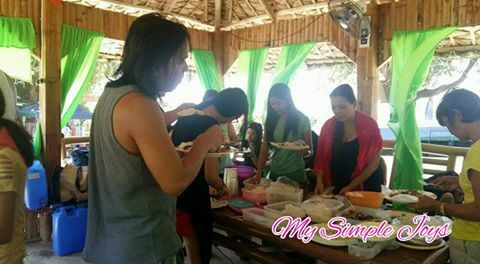 Just do not expect too much with regards to the facilities, although I can guarantee that their facilities are clean naman. Maybe next summer, they have already finished the improvements and made additional facilities. And may I just warn you that the resort is a little far away from the highway. 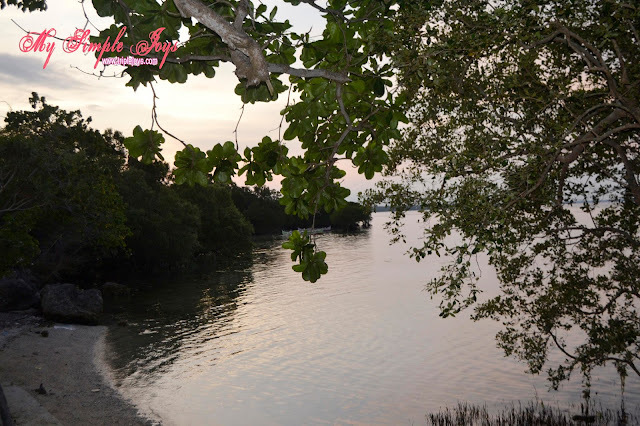 Want to know more about Yu & I Beach Resort? You can check their website at this link: http://www.yuandaibeachresort.com/. You can also get some updates through their Facebook account. 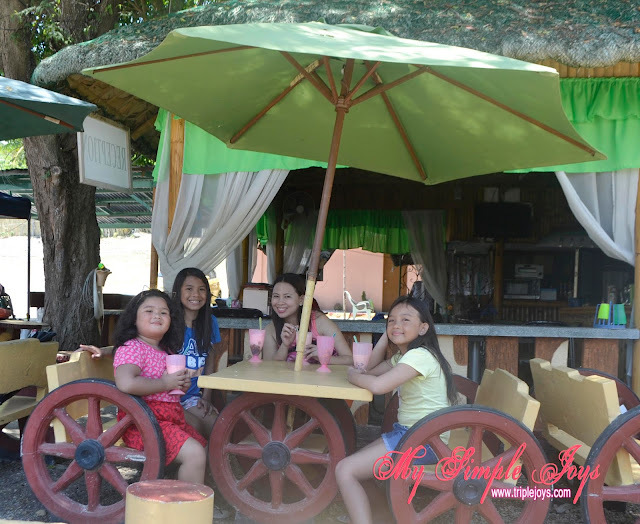 I'd love to try the balsa ang the AC'd Nipa Hut. Wow, when was the last time we went to the beach? :( tagal na. We haven't been to the beach for two years already! Hope that we can go next summer. This looks like a nice, affordable place to check out. We did not go to the beach this summer. But we went to Azure, which has a manmade beach. ;) My husband and I wanted to let the kids enjoy the beach minus the traffic or long drive. Good thing, Azure is close to our home. Ooh the resort looks quaint and relaxing! The last time we went to the beach was just a couple of months ago, and we'll be going on another beach trip in a couple of weeks. Perks of living by the sea haha! What a great post! Thanks for sharing about this. Also I want to add na I'm glad to read you put the starfish back. Ganda niya a, blue starfish, my first time to see one! We've been wanting to bring our tot to the beach for so long. I am a believer of grounding. But pfffttt... either it's raining, sched doesn't fit or the budget won't allow us. Such a big family! You need an entire passenger bus. :) I'm sure it's fun to have everyone around for a reunion. 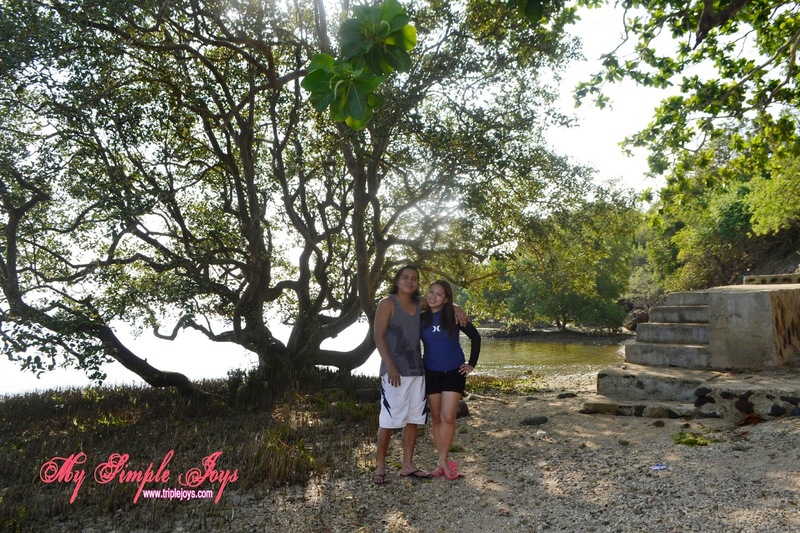 I thought 5K is a pretty steep price for a hut in a Batangas beach, but if A/C'd, I guess that's why. But maybe it's because I haven't really seen the place? Ang saya! Ang tagal na namin hindi nagbi beach. Hindi kasi kami mahilig sa beach at sa araw hahah. nag try ako sa house and lot for sale in cagayan de oro. Ano ba mas okay sa CDO or Pampanga?